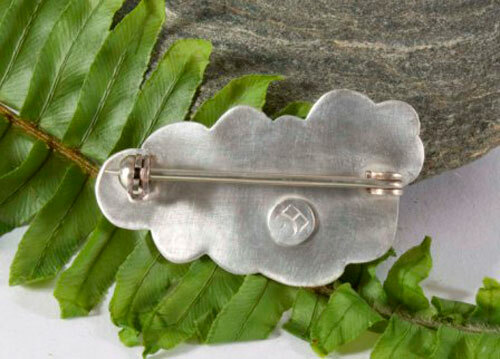 I named this brooch Jioni which means "evening" in swahili. The colors of this stone made me think of these summer evenings when the sun sets in the horizon and that it takes warm colors in pink hues. 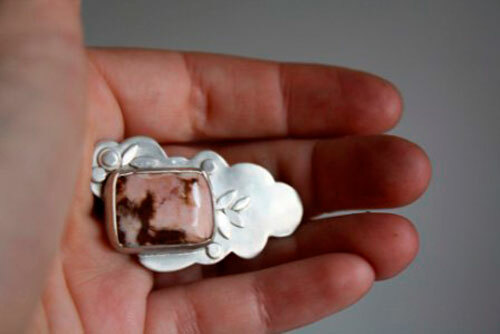 Then I create a plant motif around this pretty cabochon on a sterling silver plate in the shape of a cloud, symbol of the coming night witch gradually cover the sun. The pattern is composed of petals and round sawn in sterling silver sheet. They both represent the vegetation that falls asleep that the stars and the moon that invade the sky. 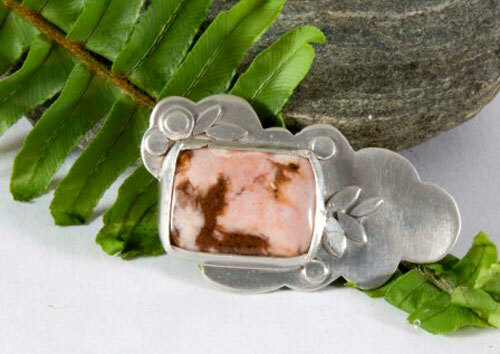 The stone is a pink ocean agate. It is set in a rustic way to give an older effect on the spit. 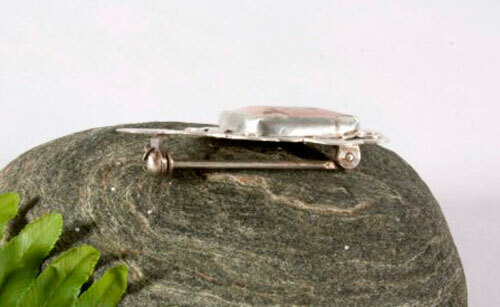 This pendant measures about 4.5 x 2.5 cm. 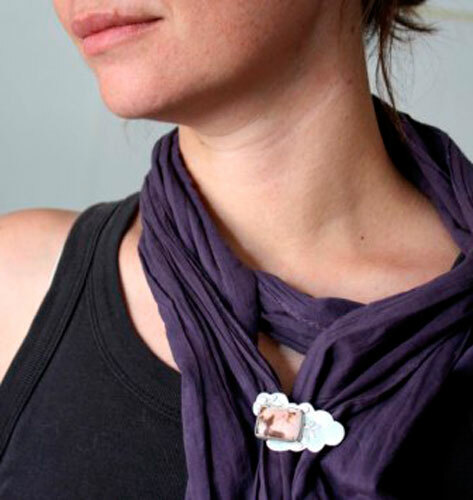 The back pin is very sturdy and is also practical to fasten. Tag: spindle, brooch, spit, sterling silver, cabochon, stone, ocean agate, pink, cloudy, plant, floral, flower, romantic, ecological, oxidized, birth gift, jewelry, unique, symbol, sunset, cloud, night, evening, vegetation, petal, sky.